Chimerical Realm: Masquerade or Requiem? I'm really into Vampire: The Masquerade. 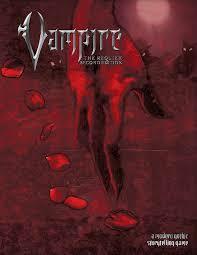 I really don't know much about nor am I terribly into Vampire: The Requiem. These are two very, very similar games. Years ago, as Masquerade was winding down, a friend of mine asked me what some of my issues were with it. As much as I love Masquerade, as the years went by I grew more and more frustrated with many of its elements, and I wasn't terribly shy about sharing these opinions. Now, this friend of mine was a freelancer for White Wolf at the time--in fact, he's still writing for Onyx Path. I doubt my words had any real impact in the direction Requiem went, but it was still interesting timing. I assume he was just "taking the temperature of the frustrated fan." I wanted a murkier and messier origin story, not this "Caine is the origin, everyone knows it; there is no debate." I didn't want Gehenna. I hated the Sabbat, and wanted them to be mysterious and dangerous and unknown. I wanted fewer Clans, and the few there were to be more unique and distinctive. I wanted vampires to be everywhere, not just defined by Europe. I wanted the Tremere to be a secret, mystical society, not a Clan in and of themselves. I wanted the game to focus on the immediate and local city and location, and not be forced into some massive metaplot. I wanted...well, I wanted many of the things Requiem ended up delivering. When it came out, another friend, who was never huge into Masquerade, raved about it. He would talk about how they fixed this issue, or that issue, or how its no longer X or Y, and I would grit my teeth and go "that's how it was always supposed to be!" But, he had a point. Many of the issues existed in Masquerade, even if they had only developed among the fandom. And Requiem explicitly called them out "fixed" them. In theory, I should have loved Requiem. I played a few games, and they were...ok. A bit generic and bland, to be honest. Though, that could have been the Storytellers trying to get a grasp of the system. Vampire, I find, worked best when the players have the most freedom of action. You can write out and preplan short stories and individual sessions, but the Chronicle really needs to be responsive to their actions, and follow where they go, versus being pre-planned. I also wasn't a huge fan of the mechanics--the "target number and add or subtract dice to the pool" just didn't work for me. Seemed like it was a lot harder to succeed at all in Requiem, even in something you were supposed to be good at. Also, the "two book" system bothered me. I guess White Wolf at the time was tired of reprinting their rules in every "core" book, so they had an idea. First, release World of Darkness with all the base mechanics everyone needs to know. Then, release Vampire or Werewolf or whatever, and assume everyone has World of Darkness, and so you can just focus on the "vampire" parts of Vampire. As a player, I don't like having to have two damn books, and as a Storyteller, I don't like having to ask my players to buy or bring two damn books. 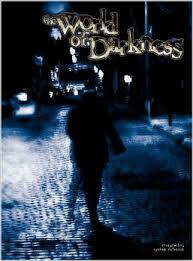 Which is sad, because the World of Darkness game I played in was really fun. Well, a few years after the Requiem came out, I was playing with some newbies to RPG's. They seemed like the kind of folks who would dig Vampire. I was going to do Requiem, as it was the new thing. But, reading the core books...just bored me. It felt bland, and dull, and I just couldn't get into it. It wasn't a critique--again, I liked alot of the changes, in theory, but I just didn't care. On a lark, I grabbed my 2nd Ed Core Book, and suddenly I was on fire. It was messy, and silly, and weird, and self-contradictory, but I was inspired. This was the game I wanted to run! Maybe it's just nostalgia, and I'm willing to admit that's a big part. First love and all that. But there's something fun and charming about the arrogance and passion and warts. It's like comparing U2's "Sounds of Innocence" to "October." Sure, they might be better musicians and produce "better" music today, but the old banged out experimental stuff as a value that can't be replicated. And, well, we all worked retail then, and asking them to shell out $35 per book for a game they've never played before was just too much to ask. But, I had an entire library of Masquerade books, many of which I've never used before. So, I started a Masquerade game, they loved it, and I was able to grab a number of 2nd Ed Core books for less than $5 each from used bookstores, Goodwill, and online. 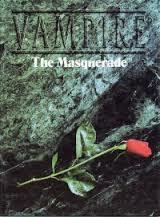 It ended up being my dream Vampire Chronicle, and I've been on a Masquerade kick since. Or, maybe I'm just old and a grognard. I like AD&D over 5th Ed. I like West End Games D6 Star Wars over Fantasy Flight Games Star Wars. Hell, I like 2nd Ed Shadowrun over 5th, AND I ONLY GOT INTO SHADOWRUN WITH 4TH! But, the problems do still remain. And the more time I spend online with my fellow Masquerade fans, the more they bug me. And the new books from Onyx Path have done nothing to excite me. Maybe it's time to give Requiem another look see. The drivethrurpg page says "no other rulebooks are required"--does that mean I don't need to buy a "base book?" I like what they've done with Humanity in this edition, but that's all I know. Is Requiem back? Should I give in another shot? Where should I start?